NCSO exams are now being offered only at the Saskatchewan Polytechnic Testing Centres in Regina, Saskatoon, Prince Albert and Moose Jaw. Registration for an exam may only be completed online by visiting: https://canada.registerblast.com/ReginaCampus/Exam/List. Please follow the instructions in the NCSO Exam Preparation Guide on how to register for an exam. It is strongly recommended to check with the SCSA prior to registering for the exam to confirm your eligibility. 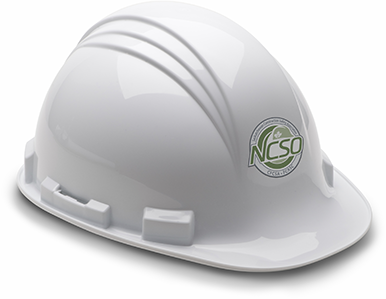 The objective of the National Construction Safety Officer (NCSO) program is to combine formal training with an individual's personal field experience. 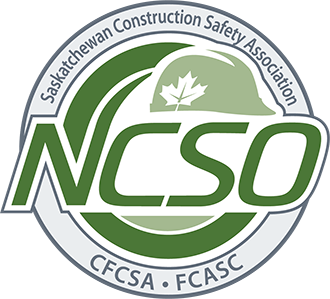 The NCSO designation meets the national standard requirements and verifies that a person has met the training, practical application, years of experience and written performance measurements set out by the Canadian Federation of Construction Safety Associations (CFCSA). Persons who achieve the NCSO certification are a valuable resource to management in the administration and implementation of a company's health and safety management system. This entry-level certification indicates a practical knowledge of various construction safety management skills and principles. Individuals may or may not have extensive safety experience. Please Note: We will also grant equivalency for training taken with our sister associations that are members of the Canadian Federation of Construction Safety Associations (CFCSA), with the exception of Safety Auditor Training for the COR® Program. All courses and proficiencies must be completed and maintained to be eligible to write the nationally recognized NCSO exam. * Proof of re-certification must be submitted every three (3) years. ** Proof of re-certification must be submitted every five (5) years. *** Proof of NCSO maintenance requirements must be submitted every three (3) years. Along with the completed application form, PROOF OF THREE YEARS FIELD EXPERIENCE IN THE CONSTRUCTION INDUSTRY MUST BE PROVIDED. The three years of experience must be within the last ten years – NO EXCEPTIONS. This shall be in the form of a letter(s) from current and/or former employers certifying you have met the experience requirement. Please note: Program requirements and fees subject to change without notice.